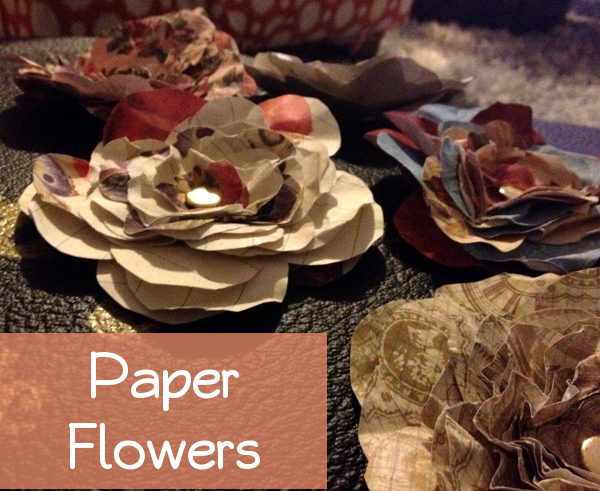 A friend and I made plans to get together and make some paper flowers. I brought over some pretty scrapbooking paper and she printed out some templates for our cut outs. Well, after you have all your cut-outs put together with the butterfly clip you spray the flower with water and it makes it much easier to crinkle, bend or manipulate the paper how you want to make the flower multi-dimensional. 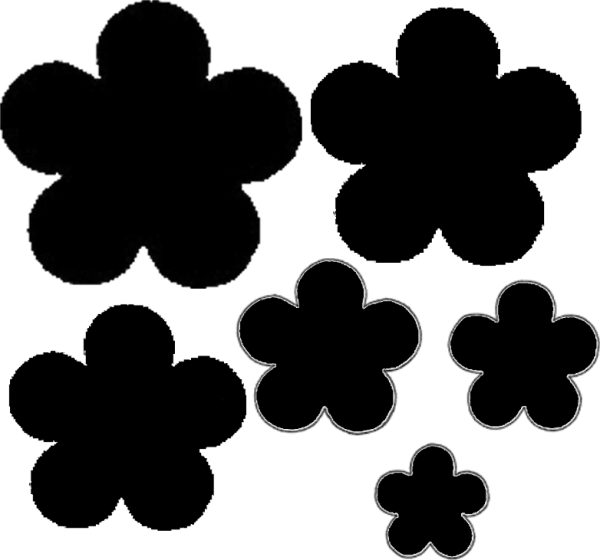 Cut out 3 layers of each size flower. (See template below) We �used 5 different sizes for a total of 15 layers but you can alter that to your preference. Spray the flower gently with water and bend, squish or crinkle away until your flower looks as you want it. We are going to make a whole bunch more with other papers and then arrange them on a wall to look like they are being wind blown. I think the flowers are adorable and will turn out nice as wall decor. They are light enough that using some of that wall sticky putty to adhere them to the walls will work, that way we won’t have to mess up the walls at all.